The stage lighting is muted and the whole space is filled with a red glow. In front of you stands a solitary microphone and an audience made up of an equal mix of friends and strangers. And you’re about to tell them something true and personal. This is Fray Cafe 12. 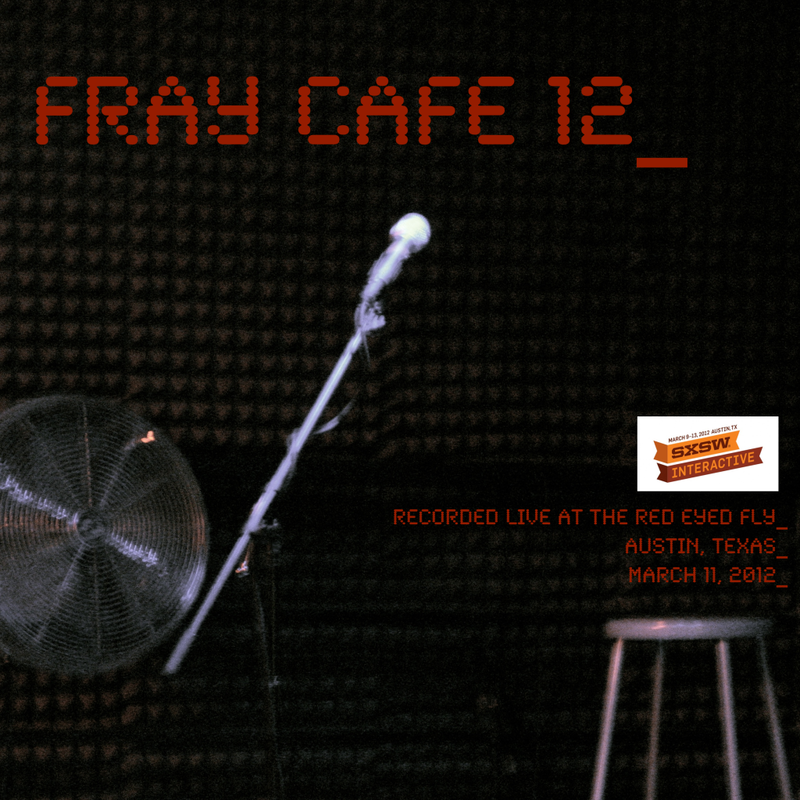 Recorded live at Austin’s Red Eyed Fly on March 11, 2012 during SXSW Interactive and hosted by the inimitable Kevin Smokler, Fray Cafe is an intimate evening of storytelling that continues the tradition of fray.com, created by Derek Powazek. Your story must be personal and feature yourself as a central character. Your story cannot be a plug for anything. Special thanks to everyone who came out and made the evening a huge success, and to the management and staff of the Red Eyed Fly for continuing to host our poky little storytelling show. And a special shout-out to everyone who donated to ensure the continuation of Fray Cafe @ SXSW!